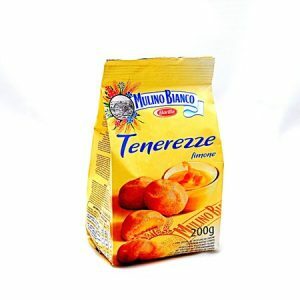 Mulino Bianco Galletti biscuits are lightly sprinkled with sugar crystals. 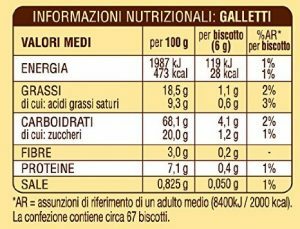 Galletti are ideal as a light breakfast biscuit thanks to a dough made without eggs. 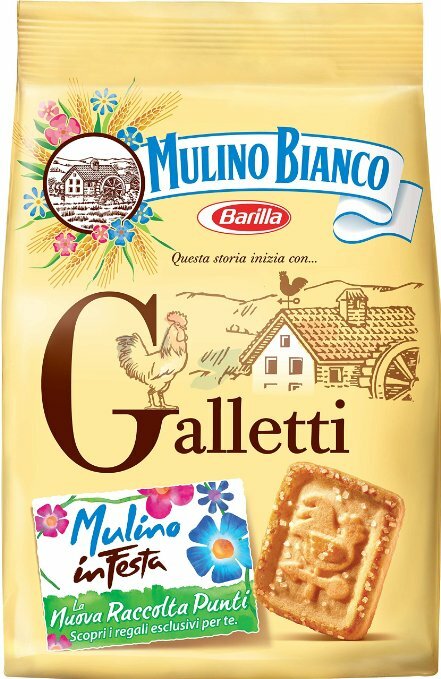 Galletti have a delicate flavour and are made with simple, natural ingredients carefully selected by Mulino Bianco. 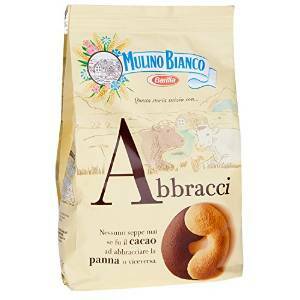 Mulino Bianco offers a wide selection of various biscuits- whichever you choose, you are sure to find something special! Ingredients: Wheat Flour, Non Hydrogenated Vegetable Fat, Sugar, Raising Agents [Ammonium Hydrogen Carbonate, Sodium Hydrogen Carbonate, Monopotassiu Tartrate], Skimmed Milk Powder, Milk, Glucose Syrup, Salt, What Starch, Milk Proteins, Vanillin Flour. Manufactured in a facility that also uses tree nuts, peanuts, sesame and soy. 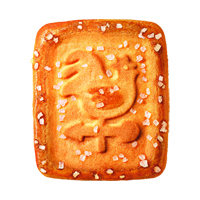 Prepared without the use of additives, dyes and preservatives.